One of the hardest emotional challenges you can hurdle while selling your home is detaching yourself from it. You don’t see a scuffed front door; you see the threshold you crossed with your beloved, or the home you brought your children to for the first time. But selling your home requires you to step back and view it as a structure, and see it as a buyer will see it. This will require you to look at the home you love critically and make adjustments accordingly. Home staging doesn’t have to be difficult; follow these guidelines to increase buyer interest in your home and sell it faster. First, think ahead to your new home and pack away many of your decorations and personal photos. Buyers want to be able to imagine their things in your home, to picture themselves there. To help this along, clear as many surfaces as you can. Highlight your homes best features, placing a vase of fresh flowers on your stone countertops or arranging your furniture to face the fireplace, or placing an armchair next to a window with a particularly nice view. Check your walls for scuffs or paint discoloration and apply a fresh coat if necessary. Warm beige shades make homes feel cozier without making them feel smaller. Neutral colors appeal to the largest audience, with pops of color in the remaining décor making your home feel warm and inviting. Make each room feel bright and welcoming by opening blinds and curtains, turning on appropriate lamps and overhead lights. Buyers have to be able to see your home to fall in love with it! If you have curtains, consider hanging the rod just outside the window such that the curtains, when open, rest on the wall instead of the window. This will allow more natural light to flood the room and make the window appear larger. With fall in full force and winter just around the corner, increase the coziness factor by having plush throws elegantly situated on chairs and sofas, with soft pillows in seasonal colors adding to the ambience. Add a sense of luxury by layering blankets and pillows in deluxe fabrics on the beds, hanging plush towels in the bathrooms, and placing festive tablecloths and place settings at the dining table. During showings, keep the home warm enough to encourage them to look at the home closely without overheating. These seasons are very aromatic, and you can add to the welcoming atmosphere by catering to those scents. Hot apple cider and fresh baked cookies are luxurious scents and treats to offer to prospective buyers, once again encouraging them to take their time while exploring your home. Now that your home’s interior is perfected for buyers, tackle the exterior. Rake up and bag or mulch leaves, weed the flowerbed, and plant autumn flowers to add a pop of color. Make sure paths are cleared of debris, hedges are trimmed and porches are clean. Having your home in peak condition will allow buyers to see your home without making a mental list of repairs and updates. A little bit of work can go a long way with home www. Making your home more desirable to a larger audience will increase showings and impact offers without breaking the bank. The Terrell Team can help guide you through the home selling process. The Smoky Mountain region is an excellent real estate market, with the astounding views and tourism associated with Gatlinburg, Pigeon Forge and Sevierville and the surrounding areas. Buyers are drawn to our area for the natural beauty and local resources, and look to enjoy it from their own cabin or home. Once you’ve staged and sold your home, we’re happy to help you find your next dream home. 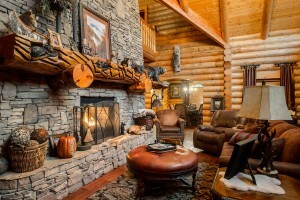 We have listings in Gatlinburg, Sevierville and Pigeon Forge, ranging from cozy cabins to distressed homes. The Terrell Team is here to lead you through every aspect of the buying and selling process.